The error message - convert to dynamic disk appears when partitioning hard drive in HP laptop with Windows 7. MBR disk supports maximum 4 primary partitions. To solve the problem, you need AOMEI Partition Assistant. However, such partition layout is usually not very proper for meeting the needs of users, such as the hard drive is partitioned into a large size of system partition C drive without data partition. Once the users would like to repartition hard drive or create more partitions, they will get the error message: "The operation you selected will convert the selected basic disk(s) to dynamic disk(s). If you convert the disk(s) to dynamic, you will not be able to start installed operating systems from any volume on the disk(s) (except the current boot volume). Are you sure you want to continue?" Why Get the Error Message? As we all know that MBR basic disk contains at most four primary partitions or three primary partitions & one extended partition which contains many logical drives. In the past, the solution to the problem is backup the data in "HP_TOOLS" or "RECOVERY" Partition. 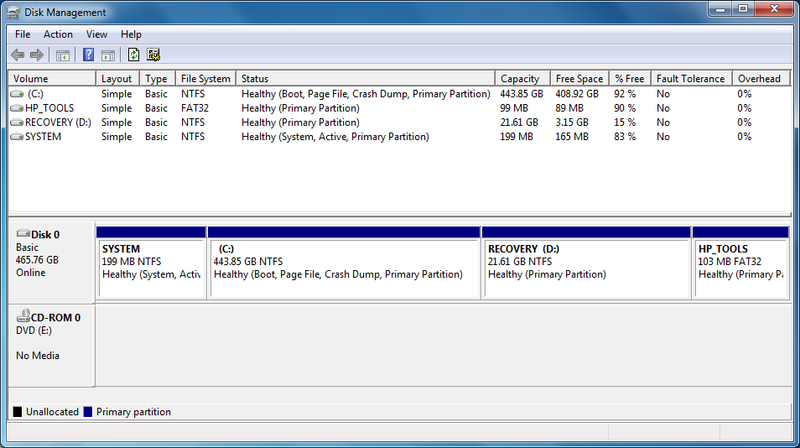 Then, delete one of them and create extended logical partitions. But now, you can choose the easiest way to achieve this goal. As free partition magic software, AOMEI Partition Assistant provides two solutions for you to partition hard drive on HP laptop with pre-installed Windows 7. Reducing the number of primary partitions is the key to solve the problem. With AOMEI Partition Assistant, you can merge two primary partitions into one or convert existing primary partition to logical partition. No matter which way you choose, you can repartition hard drive easily and safely. There are many basic and advanced features except for the two above, such as partition resizing, splitting partition, allocating free space, partition alignment, moving os to ssd, disk partition clone, etc. Free download and try it out!